Name Changes can occur from any number of life events, including marriage, divorce, adoption and more. However, changing your name with all the necessary government agencies, creditors, and other legal relationships can be a time consuming hassle that most of us just don't have the knowledge or patience to tackle. A number of name change services exist today that can assist with all the necessary documentation needed to change your legal name. The prospect of not having to call each creditor, government department or financial institution means you save time and energy. Plus, you know that the documents, completed in only minutes, are legal and accurate. 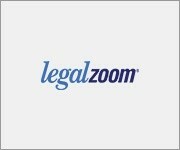 Legal Zoom is the go-to website for name changes and all things legal. With their high level of professionalism, you can complete your required local court filings with confidence. Legal Zoom will also assist with any type of name change scenario and guarantees their work. With an A+ BBB rating and a commitment to the customer, Legal Zoom earns our top-rated name change service. Miss Now Mrs is designed to assist the traditional bride with the name change process due to marriage. The website is not as vibrant or professional as others rated higher but offers their services at affordable prices. Name Change Kit is another name change website that is geared for name changes for just about any reason. However, the company lacks many of the customer friendly options we could find at those websites ranked higher. Nolo has assisted with do-it-yourself legal forms for over 40 years. The problem today is that their process is not streamlined or easy. For those wanting to quickly and efficiently complete a legal name change we recommend you shop a higher ranked company. Focus. Is the service geared for making any type of name change request, or do they focus solely in one area? Credibility. Is the name change service professional and informative? Is there a customer service team to assist if questions arise during the process? Does the company stand behind their service? Cost. How much does the name change service cost? What does that include, and how does it compare to competitors? TopConsumerReviews.com has reviewed and ranked the best Name Change services available today. We hope these reviews help you change your name right away!